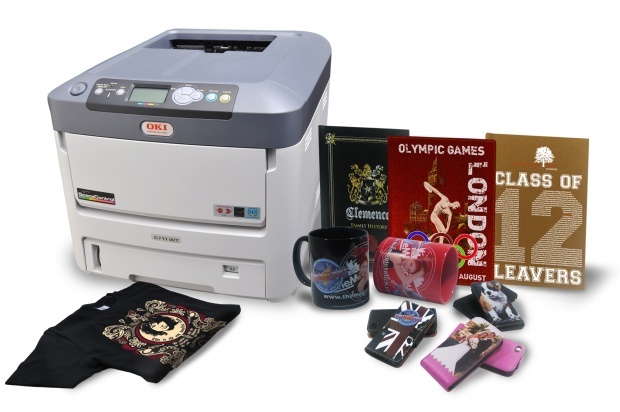 OKI Data Company introduces new LED printers that allow you to print with white toner. According to the manufacturer, these devices will help small and medium businesses solve many print jobs quickly and cost-effectively. The white toner printers are an addition to the range of existing color printing solutions for business. They can also be used for custom T-shirts, as well as ceramics, printing and labels to create original promotional materials. The devices will serve good in for shop windows decoration, car windscreen stickers and in numerous other situations. The new line of printers includes two devices. C711WT A4 printer offers color printing (CMYW) at a speed of 8 pages / minute when printing on transparencies and 34 pages / min on paper. 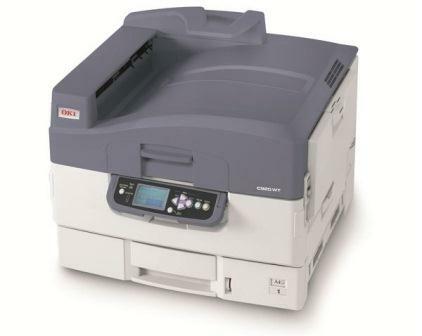 C920WT A4/A3 format printer is designed for intensive use and high volume printing at 10 pages / minute and 31 pages / min, respectively, yet it has higher capacity toner cartridges. This entry was posted on Wednesday, November 14th, 2012 at 3:04 am	and is filed under OKI, printer, toner. "Printer Rabies: Symantec Discouvered Worm Depriving Users Of Paper"
"Hewlett-Packard Hotspot M1218nfs: Your Internet Provider"